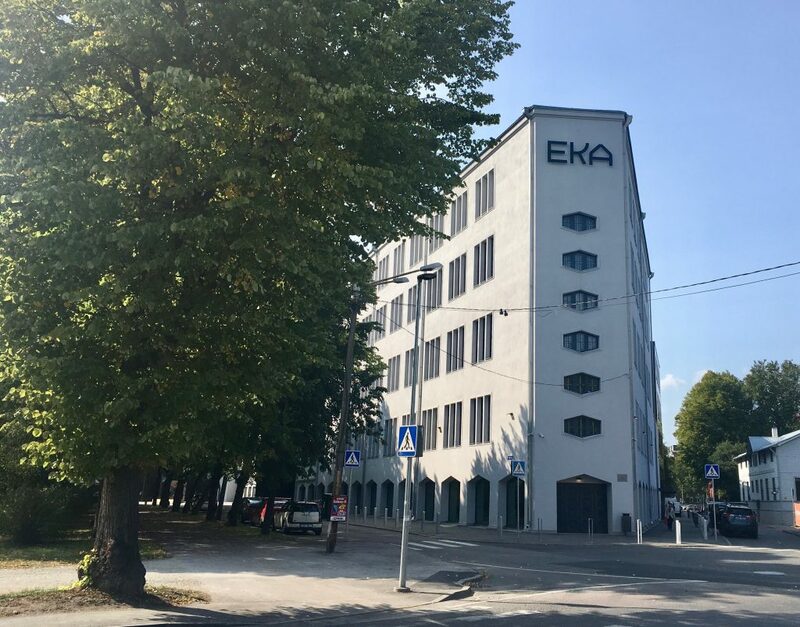 The brand new home of the Estonian Academy of Arts (EKA) is located in the historic Rauaniidi (Iron Thread) textile factory building on the corner of Põhja puiestee and Kotzebue street. The authors of the building are a team of young architects (Joel Kopli, Koit Ojaliiv, Juhan Rohtla from KUU Architects) and a philosopher Eik Hermann. 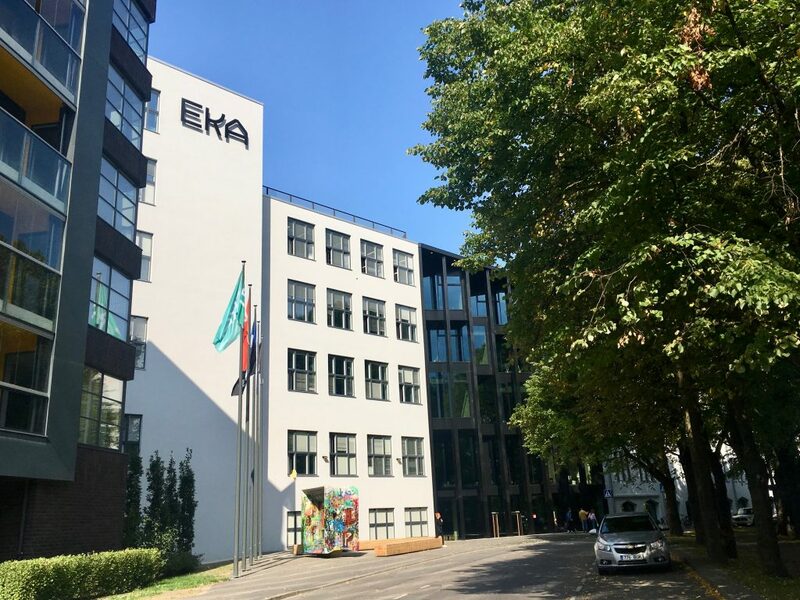 According to the authors (all EKA alumni), they focused on the needs of future students and wanted to ensure that the building had internal synergy. The building was designed so that it would make different specialities and disciplines to ‘bump’ into each other within the school. The new building has 6 floors above the ground, 1 floor below the ground, about 12,000 m2 of enclosed net space and two large roof terraces. The central part with café, gallery and library is open to the public every day from 9am.